This is my favorite post because it means it is FRIDAY! What is the hottest day of the week? Last Friday was May Day! Such a special day for the fifth graders! I am so proud of all of the fifth grade classes! Our ribbons weaved perfectly and everyone looked so beautiful! We had such perfect weather, too. Congrats to the fifth graders! Our school always does an auction for Cinco de Mayo. The parents and teachers go, and the items in the auction earn money for our school! It is so great! The fifth grade team of teachers (all girls!) donated a "girls day" of getting our nails done and getting pizza! We organized a day and time, and hung out with the greatest four young ladies for our nail day! Well, I could say I hung out with the greatest 7 ladies because the teachers are awesome, too! We all got our nails done, and a little white flower on our ring finger to match! It was so much fun! I feel like I need to invite my students every time I go get my nails done! Best afternoon ever! We made time capsules in class this week! The students had so much fun! 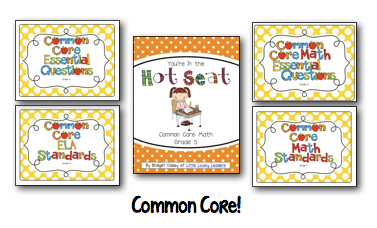 You can get this activity in my End of the Year activities packet. The students cannot open their time capsules until they are graduating high school! I hope they hide it somewhere good so it won't tempt them! 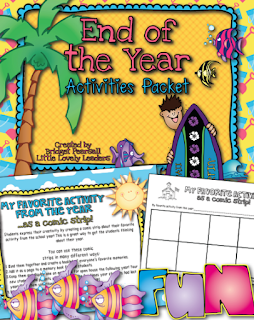 Speaking of the End of the Year activities packet...I finally completed it this week and added it to my store! Yay! 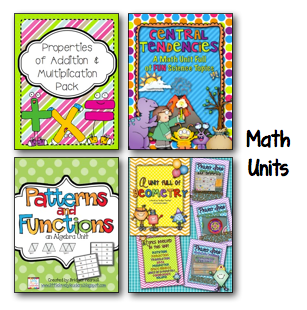 The students have had so much fun with these activities! I am really excited about how they are all turning out! Got a really exciting package in the mail today! New stackable rings! I was even more excited that I chose hot pink! To be honest, when opening the box I could not remember what color I ended up choosing online...they had so many good choices! 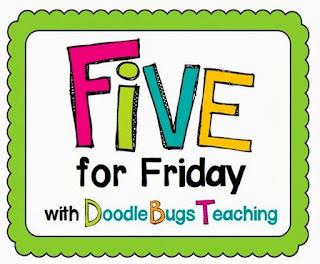 Check out what others are up to at Doodle Bugs Teaching weekly Five for Friday linky party! Click on the image below to check it out! Yay! 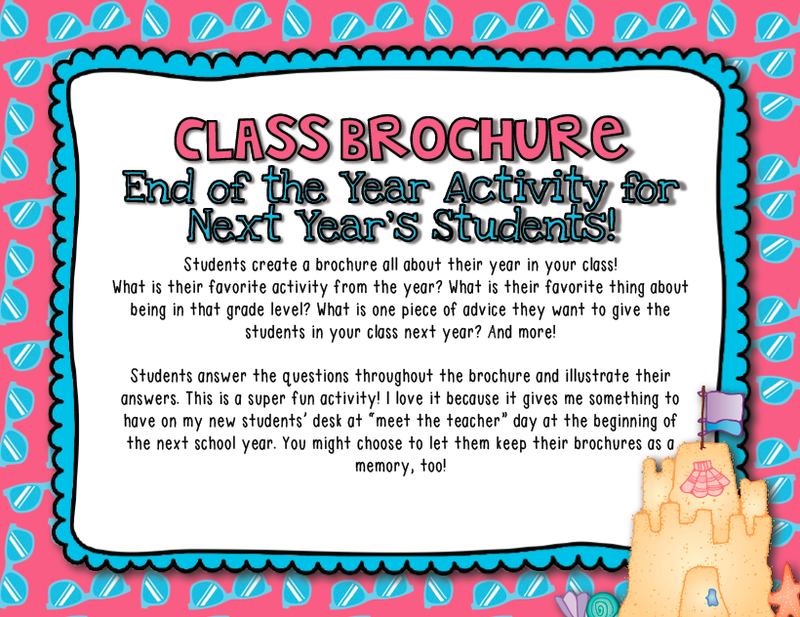 I have been waiting until I created the final activity with my students before I posted this activity packet! We made our time capsules today, and they came out FAB! This End of the Year packet contains 5 different activities! I have used all 5 and my students and I have been having the best time! My favorite part is...they all remind us that we have had a great year this year! I love hearing what the students say is their favorite part, and reading what they write about their school year. 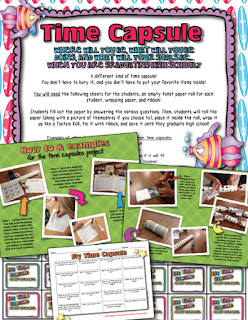 My favorite activity from the packet is creating our time capsules! So cute and fun! Materials - a few sheets from the packet, wrapping paper, toilet paper rolls, and ribbon. Photos of your students from throughout the year are a great addition! Students fill out a sheet that asks them questions about things they like and how they imagine themselves when graduating high school ... or where they hope to be in 10 years. Gather their finished worksheets and anything else you want to put in their time capsule. Students fold the paper in half once, and then roll up the paper and pictures. They can then place it all inside of the toilet paper tube. Wrap them up, tie it with a bow, and label it with the year in which they can open it again! It will be so much fun for them to read about their hopes and dreams, likes and dislikes, from elementary school! I chose to put the year that they will be graduating high school as the year when they can open their capsule! I think they came out super cute! 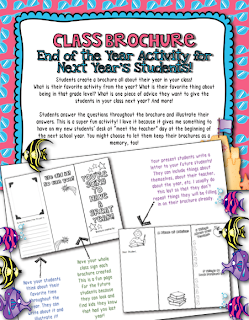 The students write about their year, their favorite memories, advice they would give to incoming fourth graders, and a little bit of inside info. about their teacher (me!) 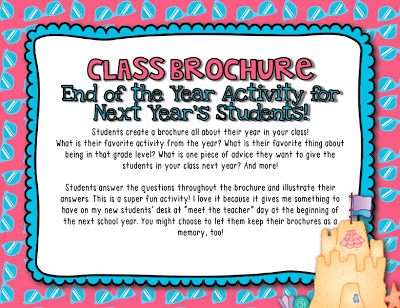 in the class brochure we create. 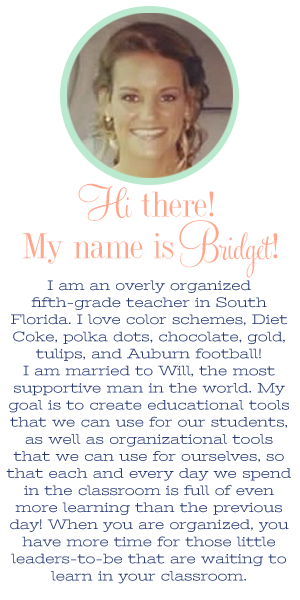 The students create these and then I give them out to the incoming fourth graders on "meet the teacher" night! I think the new parents love reading them, too. One of my students wrote, "when she is not having a good day, give her chocolate." I mean, how SWEET is that!?!! I love my students! There are other activities, too! 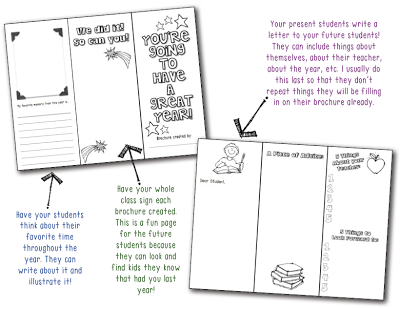 Students can create a comic strip of their favorite part of the school year. These came out even funnier than I had imagined!! 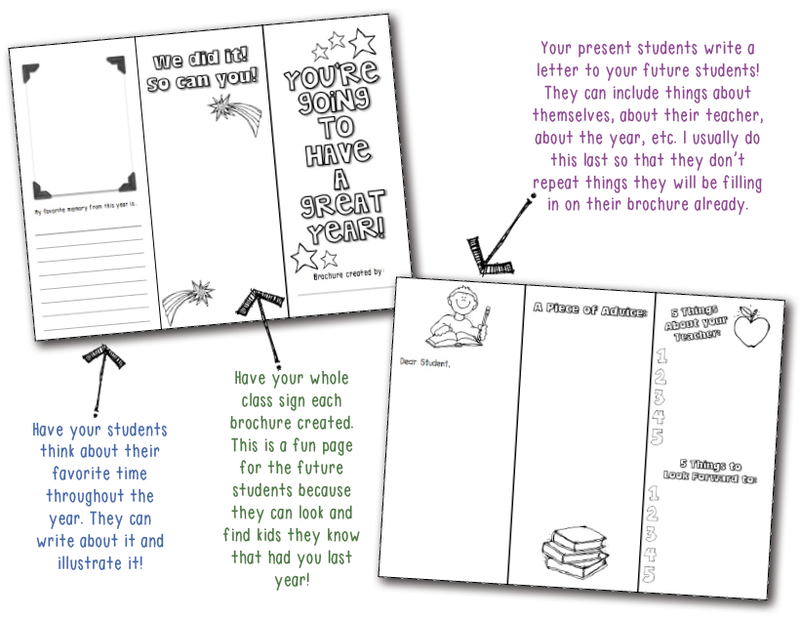 I used a binding and created a book so that my students in future years can take a look at other students' favorite activity comics! 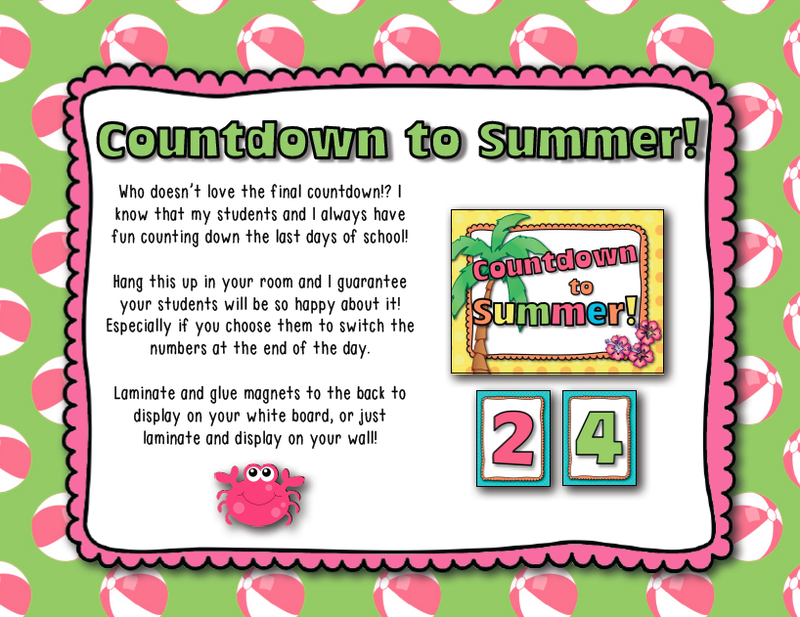 There is also a countdown to summer in the packet! This is a great thing to have on the board at this time of year! 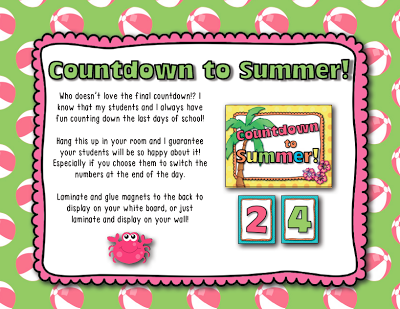 It is really great positive reinforcement for students to get 'chosen' to change the number on the board each day! 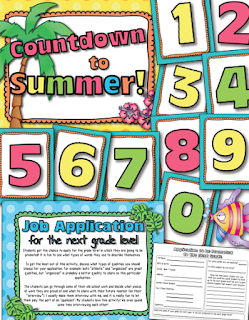 I cut out, laminated, and then glued magnets to the backs of the numbers so that I can easily switch them around on my white board. 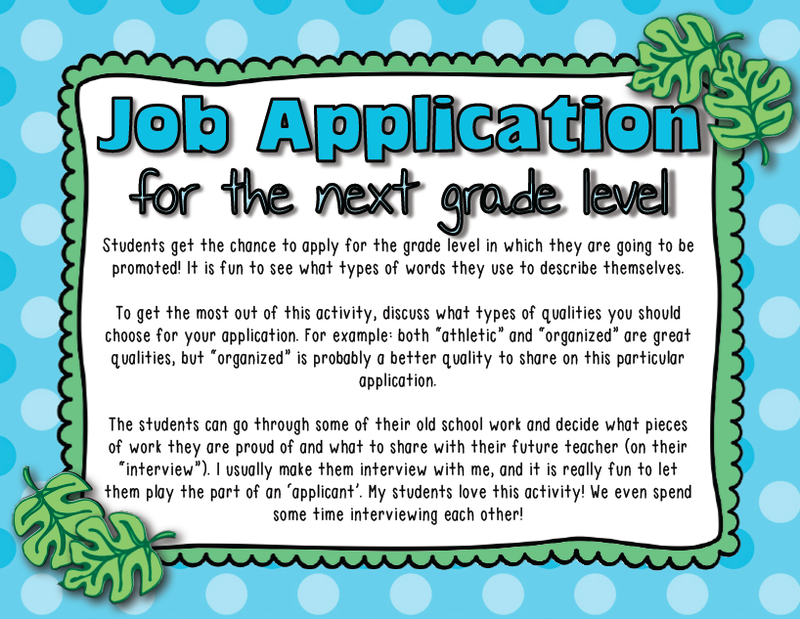 Last, but not least, the all important JOB APPLICATION! 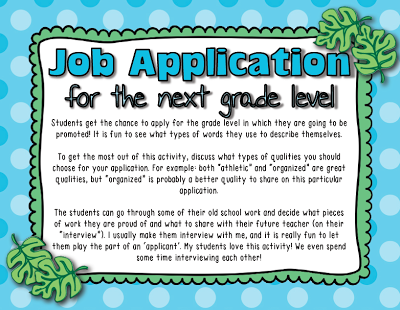 Students get to apply for the next grade! I even shared this with the fourth grade teachers at my school so that their students can fill it out and they can give them to us fifth grade teachers ... like a real job! Uh oh...a bonus for getting to the bottom of the post! Wow! I have been M I A ! 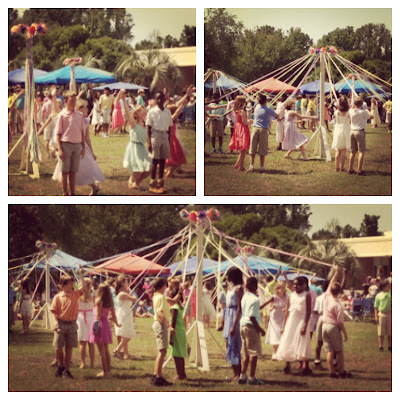 May Day was today at school...another reason this time of year has been so crazy! The kids did an amazing job and looked gorgeous in the beautiful sun! I am so proud of my almost-fifth-graders! Yay! 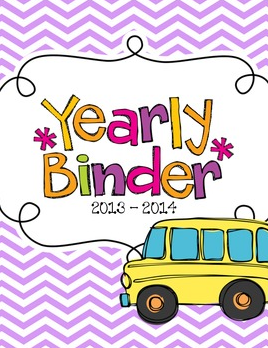 I have updated the Yearly Binder! The calendar has been updated with the adjusted dates for the 2013-2014 school year. If you already purchased this item, you can simply go to "My Purchases" to download the item again with the updates. Oh yeah..and of course, so is this little angel! Miss her and love her so much! I will be home to see her in 3 weeks!!! 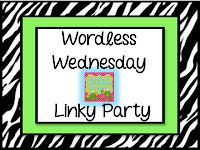 Link up or check out other wordless Wednesday blogs by visit Fabulous 4th Grade Froggies! 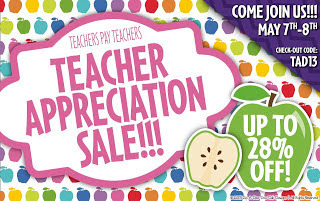 Teacher Appreciation Sale on TpT! Let's all appreciate each other! Teachers never get sick of being appreciated! You all work so hard throughout the whole year, and I bet right now....when everyone else in the world thinks we are just relaxing and counting down days to summer....you are already thinking in the back of your mind about what you are going to need for the new school year in August. I would definitely have to raise my hand and admit that I am certainly doing that already. 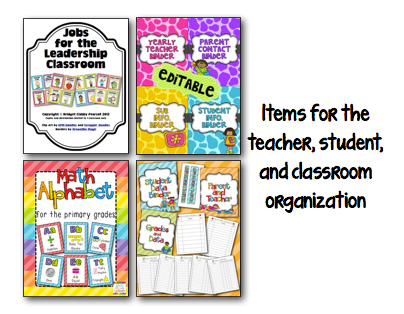 Have you had things on TpT in your wish list for a while now? 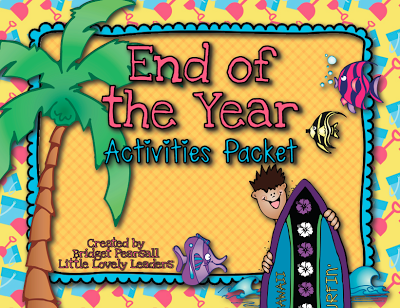 Do you need some activities for next year, or for the end of this year? Get them while they are ON SALE!! Just use the code TAD13 at checkout to get up to 28% off! My whole store will be the full 28% off! Below are just a few of the items you can get on sale at the Little Lovely Leaders TpT store sale!